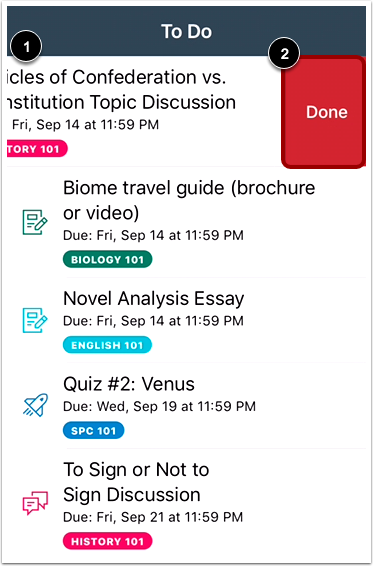 The To-Do List gives you a quick view of upcoming course activities that you have not yet completed. In the Navigation Bar, tap the To-Do List icon. 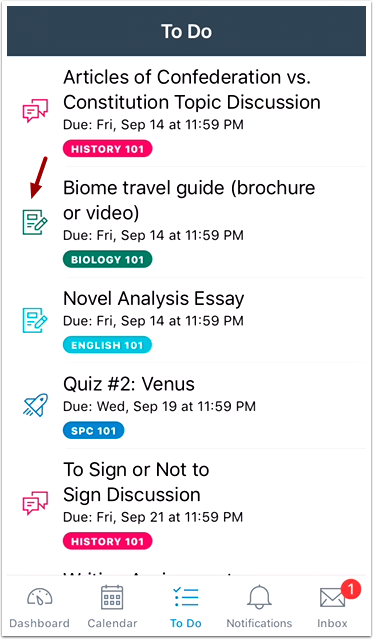 The To-Do List gives you a quick view of upcoming course activities that you have not yet completed. 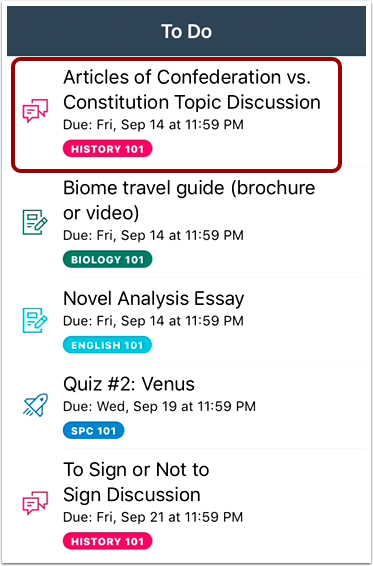 Each item is color-coordinated according to course and displays an icon for its activity type: discussion, quiz, or assignment. To-do items are organized by due date. To view a to-do item, tap the name of the item. The app will redirect to the item's corresponding page. To mark a to-do item as done, swipe the item to the left . Then tap the Done button . Previous Topic:How do I use the Rich Content Editor in the Student app on my iOS device? 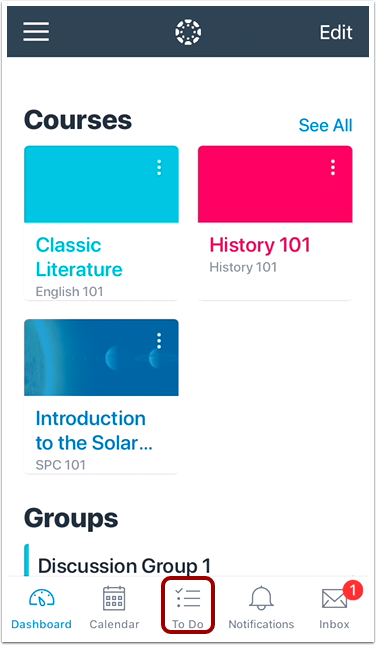 Next Topic:How do I view my User Files in the Student app on my iOS device? Table of Contents > App Features > How do I view the To-Do List in the Student app on my iOS device?